Girls' Generation 'The Boys': Girls’ Generation Syndrome!The Music Video of ‘The Boys’ Received over 4,780,000 Views on YouTube in a Day of its Release! Girls’ Generation Syndrome!The Music Video of ‘The Boys’ Received over 4,780,000 Views on YouTube in a Day of its Release! The Music Video of ‘The Boys’ Received over 4,780,000 Views on YouTube in a Day of its Release! The New Song, ‘The Boys,’ Swept both Korean Music and Korean Album Charts! Ranked the 1st Place on iTunes Single Chart in Japan! Girls’ Generation will Perform the English Version of ‘The Boys’ at SMTOWN Concert in New York on the 23rd for the First Time! The music video of ‘The Boys’ (released on the 19th) received 4,785,729 views in total as of today at 11:00 a.m. (Korean version: 3,384,117 views, English version: 1,401,675 views) and proved Girls’ Generation’s global popularity. Moreover, Girls’ Generation’s new song ‘The Boys,’ which was released on the 19th at 00:00 a.m., ranked the 1st both on real time chart and daily chart of Korean music website such as Melon, Bugs, Olleh Music, etc. Since other tracks from the 3rd album including ‘Telepathy,' ‘MR.TAXI,’ ‘How great is your love,’ etc. 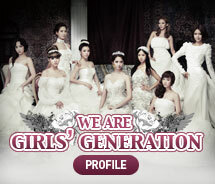 are in the upper ranks, it is proving Girls' Generation fever. Also, by ranking the 1st on iTunes single chart in Japan with the new song ‘The Boys,’ Girls’ Generation has been proving their tremendous popularity and influence. In addition, the 3rd album ‘THE BOYS’ took the first place both on real time and daily chart of count charts for album sales including Hanteo Chart as it was released. Meanwhile, Girls Generation will perform the English version of ‘The Boys’ at ‘SMTOWN LIVE WORLD TOUR in New York’ on the 23rd. Since it will be the first time performing the English version, it is expected to receive the attention of global fans. Why The Boys Enlish version is blocked in Spain? We want to see it! SNSD, unni's you were AWESOME at SMTOWN live.